Rachel Yerger is one of our Digital Library Interns for the Fall 2013 semester. Rachel is from Harrisburg. She earned a BA in Anthropology from Kutztown University and an MA in History from Villanova University, which she completed in 2011. 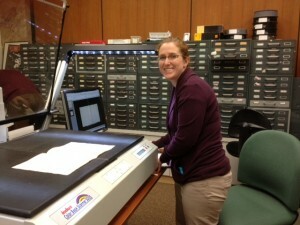 Regarding her internship, Rachel is most excited about working with the Dime Novel and Popular Literature materials, especially “getting to work with materials of that time period and seeing how they reflect the contemporary culture.” One of her first projects has been scanning issues of the Motor Stories. In her free time, Rachel enjoys watching movies, particularly costume dramas and other period films. She also likes listening to music and going to concerts and her favorite genres are alternative and country. Rachel is currently rereading Jane Austen’s Sense & Sensibility. If she could travel anywhere, Rachel would love to go to the Tuscany region of Italy. 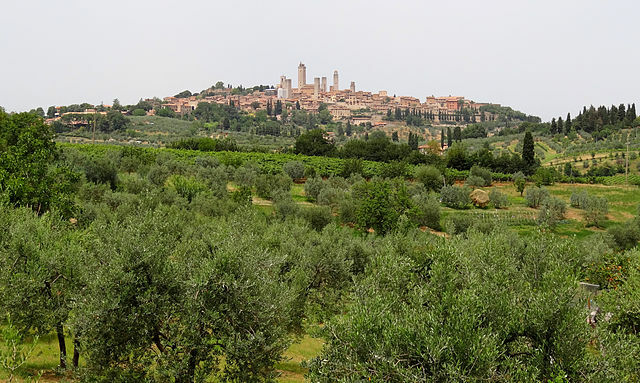 A view of San Gimignano in the Tuscan region. Photo by Bjørn Christian Tørrissen via Wikimedia Commons.